Brisbane, 10 April 2015 – CBRE has recruited two leading Brisbane property professionals, Mitchell Stewart and Eloise Oakes, as it continues to strengthen its CBD and fringe retail team. Mr Stewart has over seven years of extensive experience in commercial real estate sales and leasing, property analysis and development management throughout the Brisbane market. He has joined CBRE as a Negotiator for the Retail Services team and will be working specifically with CBD and fringe sites. Mr Stewart was most recently National Property Development Manager with Snap Fitness where he was involved in identifying growth markets, lease negotiation, property management and ensuring brand integrity. Further demonstrating the growth of the Brisbane retail team, Eloise Oakes has also recently joined CBRE as a Negotiator. Miss Oakes will be working alongside the CBD and fringe retail team in addition to assisting the Large Format Retail team with food and beverage retailers. 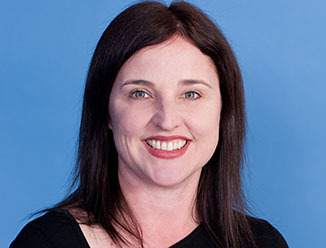 Miss Oakes graduated from the Queensland University of Technology in 2014 with a Bachelor of Property Economics. Most recently Miss Oakes has been working as Sales and Leasing Analyst for Chesters Real Estate in Fortitude Valley. She has 12 months experience in the property industry. Both Mr Stewart and Miss Oakes will be based in CBRE’s Brisbane office. “These appointments demonstrate the continued success of the CBRE Brisbane Retail team and our consistent commitment to growth and development in order to best serve our clients,” Ms Dunworth said.